Schipperke, A "Little Black Devil" in a Dog Costume? The Schipperke is an agile, active little Spitz-type dog that was originally developed to be a watchdog and vermin killer. Looking straight into his face, you will notice a rather fox-like appearance, small triangular, erect ears, and little round feet. Tails are often cropped, at least in the United States and Canada. If you live elsewhere in the world, where there is a ban on docking, the tail can be full and carried over the back or the tail may be naturally absent. If you are a color lover, you’ll be in for disappointment. This little dog comes in one color – black. What they lack in color, they make up for in spirit. They are often called comedians because their mischievous and independent streak surfaces from time to time, delighting and endearing them to their devoted owners. Relatively rare today, they were once so plentiful in their native country Belgium, that nineteenth century Belgians rarely had a different breed of a house dog. Today, they are rare, ranking at 113 with the American Kennel Club, even though they have been registered there since 1903. Just looking at the Schipperke, one might immediately think that they are related to the German Spitz or Pomeranian, but they are not. They are, instead a smaller version of the Belgium Leauvenaar that was used back in the 19th century to follow wagons. It was bred down in size to become a good watchdog and vermin killer. There is little debate about where the name was derived. One theory proposes that the dog was used by Flemish boatmen who traveled a canal between Brussels and Antwerp. The word “boat” in Flemish is schip and the name Schipperke is thought to mean little boatman. According to these lines, Schipperkes were bred by Belgian boat captains to guard unattended boats, keep rats away and provide companionship. 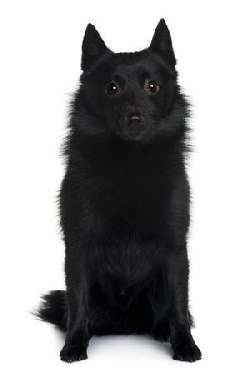 The first Schipperke was imported to the U.S. in 1888. A specialty club was founded but interest in the breed died out during World War I. Wartime is a wrong time to breed dogs, but after the war, a few fanciers founded the Schipperke Club of America 1929. The best way to describe these little dogs is mischievous, curious and full of energy. So much energy, that without ample exercise and activities to keep their little minds and bodies active, they can become destructive. Dog sports such as agility and obedience will keep these dogs happy and well exercised. The original purposes were to serve as a watchman and rodent killer. They have maintained these traits to this day, making them one of the best watch dogs around. Their bark coupled with their reserved nature around strangers allows them to fill the role admirably. Little pets and small animals may not be safe around them, and some are not fond of other dogs. They need a safe fenced in area to run and burn off some of the excess energy. A daily walk will help in this area as well. Plan on at least a ½ hour daily walk and more if possible. Even though they are small, they may not make an ideal candidate for apartment living unless they can be trained to curtail some of their barking tendencies. They are formidable barkers that many apartment dwellers may prefer not to hear. They are loyal to their families and generally do very well with children. The smaller Schips may not be appropriate for very young children, but older respectful kids find the Schipperke to be an active, curious and playful friend. Like most small breed dogs, They are difficult to housebreak. Patience and a consistent schedule help, but it will take some time. Socialization is necessary to prevent them from becoming too aloof with strangers. Provide as many opportunities for these dogs to meet many different types of people and animals. Training is paramount and will help prevent Small Dog Syndrome. Even though they are small and would not cause too much damage if they got out of hand, they can develop a host of problems such as barking, food guarding, and separation anxiety if they begin to take on the role of pack leader. Don’t be surprised if you hear your Schipperke howl and some end up being excessive barkers if not taught to be quiet at a young age. They are also very quick and may take off if they see something before you realize. They should be on a leash outdoors or in a fenced in area. Teaching “come” is especially vital to have that good recall in breeds that are as fast as this one. Schips are very smart but independently minded which means that they have a stubborn streak that prevents them from doing what they are told to do. They are incredibly cute and intelligent and will keep you laughing, but they may not make the perfect choice for a first-time owner. You will need patience and plenty of time for socialization and training, this might be a good dog for you. 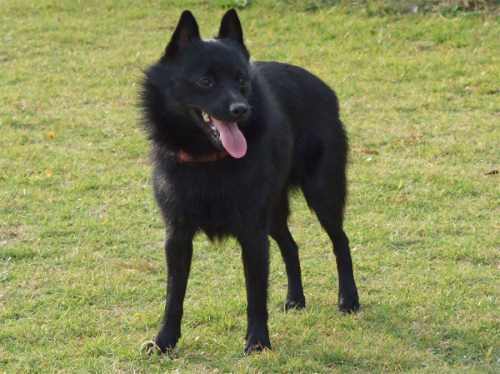 The Schipperke has a typical spitz type coat with a soft, thick undercoat and a dense outer coat that is slightly harsh to the touch. They do not require a tremendous amount of grooming, but they do need brushing a couple times a week. They are moderate shedders and brushing if done properly can reduce the amount of hair that ends up on you, your furniture or the floor. Their coat does not continue to grow to long lengths as in other small breed dogs, so there is no need to clip or trim the hair. They tend to “blow” their coat meaning that the loose their inner or undercoat. This process lasts up to several days and then the fur grows back in about two to three months. Bathing and brushing help with this process. Bathe about every month or less frequently if your dog doesn’t get too dirty. Most loose dirt can be brushed out using a long pin brush that is capable of getting through to the undercoat. A metal comb will also pick up loose hairs and is something that should be done after brushing. The rest is just basic care you would give to all dogs. Their nails need to be clipped or filed down using a grinder like Dremel tool. Even though these dogs have ears that are held erect, they should still be checked weekly and cleaned if necessary. Any redness or swelling may indicate an infection and a call to the veterinarian is needed. Brush their teeth as often as possible using a dog toothpaste and toothbrush or finger brush. The Schipperke is a relatively healthy breed, usually living to 13 years and sometimes long. Most of their problems can be traced to environmental issues such as over feeding or not enough exercise. Some issues seem to be genetic in nature, and some of these have tests that can be performed on breeding stock to lower the incidence in the breed. The biggest problem found in this breed is MPS IIIB, a genetic mutation can occur in upwards of 15 percent of the breed’s population. This is rare and only occurs in Schipperkes. 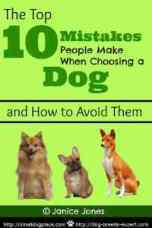 There is a test that can be completed on the parent dogs. This is similar to another lysosomal storage diseases in humans such as Tay-Sachs Disease and Gaucher Disease. The lysosome is a structure within cells of the body that has enzymes that will remove or recycle or break down stuff that needs to be withdrawn from the cell. If the enzymes are not working properly, this “debris” will accumulate in the lysosome and eventually kill off the cell. When this happens, symptoms appear. The onset is usually early adulthood (2 to 4 years old), and the symptoms are related to the working of the cerebellum, or that part of the brain that is responsible for balance and coordinated movements. The affected dog has difficulty with balancing and walking. They may have tremors, fall or tilt their head. The disease is progressive and eventually the dog cannot walk, stand or eat, and euthanasia is the only thing to do. This disease predominantly affects small breed dogs normally caused by genetic factors, although it can be caused by trauma. When the blood supply to the femoral head (leg bone) is interrupted, it begins to die. When the dog puts weight on it, the cartilage above the femoral head begins to fracture causing a gradual destruction of the hip joint. Lameness and the failure to put any weight on that leg are the first symptoms followed by muscle wasting and loss of range of motion. Medication for pain may help but surgery may be necessary. Just as in humans, dogs with epilepsy have seizures but they can be managed with medication. Most dogs live a long healthy life with epilepsy, but there is no known cure. The direct genetic path has not been found. This common problem seen in small breed dogs involves the petalla or kneecap. It occurs when the knee cap (Patella) the femur and the tibia (leg bones) do not line up properly allowing the knee to slip in and out of place. Lameness or an abnormal gait that looks a lot like a skip or hop occurs. It is present at birth, but the actual symptoms do not show up until later. When they slippage occurs over time, it leads to inflammation, arthritis, and pain. Doctors grade patellar luxation from I to IV where grade I is the occasional slippage causing temporary lameness to grade IV where the vet cannot manually realign the knee. Surgery is indicated for severe cases. As happens in people, an under active thyroid gland produces too little thyroid hormone which results in a low metabolic rate. 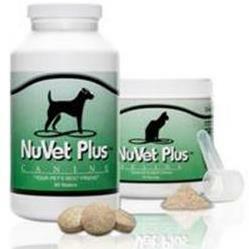 It results from a problem within the immune system which attacks the tissue of the thyroid gland. Symptoms include lethargy, weight gain, skin infections, dry skin, hair loss, slow heart rate, ear infections and depression. It is treated with medication. The most common congenital defect of the eyelids and results because the eyelids roll inward. It can also be caused by an injury or infections that cause scarring. The eyelids irritate and cause tearing and squinting. Most cases involve the lower eyelids. The treatment involves surgery. This eye problem occurs when an extra row of eyelashes grows from the eyelid and is directed inward. The eyelashes rub against the eye which leads to irritation and corneal abrasion. Eyelashes can be plucked out, but they grow back so the only treatment is removing the eyelashes and their roots destroyed by surgery, cryotherapy or electrolysis. Progressive Retinal Atrophy (PRA) PRA denotes to a group of diseases that cause the retina of the eye to degenerate gradually over time. The result is declining vision and eventual blindness. Schipperkes make great companions for families that love boating. They already seem to have their sea legs and love the water.